When you think of a lot of the big newsworthy technology related news stories of 2013, one thing seems underlying in all – privacy. From NSA to Bitcoin to even the release of the PS4, security and privacy have been mentioned time and time again. 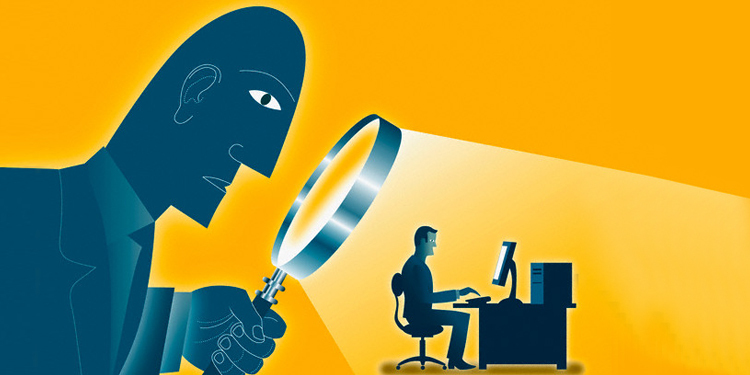 The need to snoop and also the need to prohibit snooping has been a hot potato in 2013. Although in recent years Facebook and social media sites have been in hot water regarding privacy and their terms and conditions, this year has seen a number of new tech related interests receive a new level of prominence. Even though there are incredibly important tech stories year-in, year out. Some of the issues of the last year or so may have far reaching consequences for us, our governments and the future. Edward Snowden’s WikiLeaks documents were one of the foremost tech and web based privacy issues of all time. Snowden’s revelations that the NSA was monitoring a large amount of the world’s web traffic Meta data resulted in surprise from many. Although, a minority group’s surprise was based around the naivety of the masses, who found it hard to believe such monitoring went on and that people didn’t realise this was an inevitable part of the march of technology. Either way, it led to a number of occurrences. Firstly, a number of software companies, search engines, sites and social networks that most of us use day-in-day-out were revealed as co-conspirators in the activities. None more-so than Microsoft who provide the world’s most common PC operating system by a long way. They helped the NSA circumvent their security. This had an interesting impact and showcases something that’s been highlighted for a long time by those in the marketing game. Give people useful tools that provide them with a service in exchange for information and they’ll be more than willing to allow you access to private information. In essence, people don’t mind being snooped on if they get something in return. In the wake of the NSA controversy, private search engines and websites were pushed to the fore. The likes of search engine DuckDuckGo and a number of private social networks were given the green light to step into the mainstream. These encrypted options only saw limited increases in engagement as people preferred to stick with the traditional social networks and search engines. Now, there are numerous opinions on why people continued to use these sites and networks and they range from apathy, ignorance, contact reasons, security reasons and dozens more – nobody can say why for sure. Personally, I’d be more prone towards the former reasons than the latter. Politically, the fallout from the whole incident has been interesting and all sorts of revelations have followed, including revelations of the surveillance of a number of heads to state, many of whom friendly to the USA. In addition, America, Britain and a number of others have claimed that the leaks have put lives at danger, while there are other issues regarding freedom of the press and also the detention of citizens and their rights before entering a country. It’s heavy stuff. Of course, that’s not the only metallic substance doing the rounds, so to speak. Bitcoin is looking like it’s increasingly going to be one of the big stories of 2013.Particularly in the light of what’s going on in the US Senate this week. The cryptocurrency is also part of the whole privacy arena and a bit part player in the privacy/secrecy debate. Bitcoin’s most publicised use has been as a means of monetary exchange for the now defunct Silk Road site. The online currency’s benefit being that it’s anonymous and can’t be traced. Of course, it’s only just the tip of the iceberg that is the deep web – a place unknown to most and outside the relatively civilised realms of search engines like Google and Bing. The deep web itself has come to light mainly due to controversy surrounding Silk Road and similar sites. National cyber security units seem to know as much about the deep web, as NASA did about the far reaches of the solar system circa 1950. It’s a bit of a dark hole and it seems there’s a lot of speculation about what goes on there, more-so than concrete fact. Nonetheless, it doesn’t mean that people using it can’t be traced as the owner of Silk Road Ross Ulbricht (Dread Pirate Roberts) found out. The only thing is there aren’t many of us who seem to show displeasure, let alone act to prevent our privacy being infringed. And as I wrote about a while ago, the latest consoles are potentially going to change things again and to an even greater degree. The entry of these always-on devices could be a significant coup for the likes of Sony and NSA favourite Microsoft and are right there in the centre of your living room. All of what’s mentioned above is well known and the suspicions, be they grounded or not, are in the public sphere. In essence, social media, search engines, gaming consoles and all the rest are activities and pastimes that people opt-into willingly. However, there is a touch of the ‘Banality of Evil’ about the whole thing. In fact, WikiLeaks founder Julian Assange wrote an interesting piece with similar sentiment in the NY Times recently. If anything, it’s hard to know the path we’re heading down, but one thing’s for sure it’s only the beginning of a rocky route. We’re certain to see more privacy issues crop up as time goes on, immense changes to antiquated systems for better or worse God willing, completion of Call of Duty Ghosts on PS4 by Boxing Day.